Have you heard of Intermittent Fasting? What is it, why should you consider trying it and how can it be done safely? This type of practice is popular around the world and in many different cultures. Even celebrities have been toting the benefits of fasting on their social media accounts! But why should you fast? What are the benefits and risks involved? Here are some of the most frequently asked questions when it comes to fasting for your health and well-being. Some people fast for spiritual reasons while others do it for the benefit of their physical wellbeing. In Buddhism, food is often eaten in the morning (up until noon) and followers go without eating until the next morning. Greek Orthodox Christians have been known to partake in various types of fasts throughout the year. When it comes to intermittent fasting, there are a lot of perceived benefits due to the fact that your body is given a break from digesting food. When this happens, your body begins to initiate cellular repair processes and makes changes to its hormone levels (Gunnars, 2016). For example, the body can begin the cellular repair process of removing waste material from cells (Autophagy, 2010) and levels of insulin can significantly drop which can facilitate fat burning (Am J Clin Nutr., 2005). In fact, short-term fasting has been shown to increase the body’s metabolic rate by 3.6 to 14%, helping to burn excess calories (Am J Physiol., 1990). Intermittent fasting has also been known to strengthen immunity, improve cognitive function, raise energy levels, and reduce stress (Shah, n.d.). It can aid in reducing inflammation in the body while reducing oxidative stress that can lead to many chronic diseases (Mutagenesis, 2004). 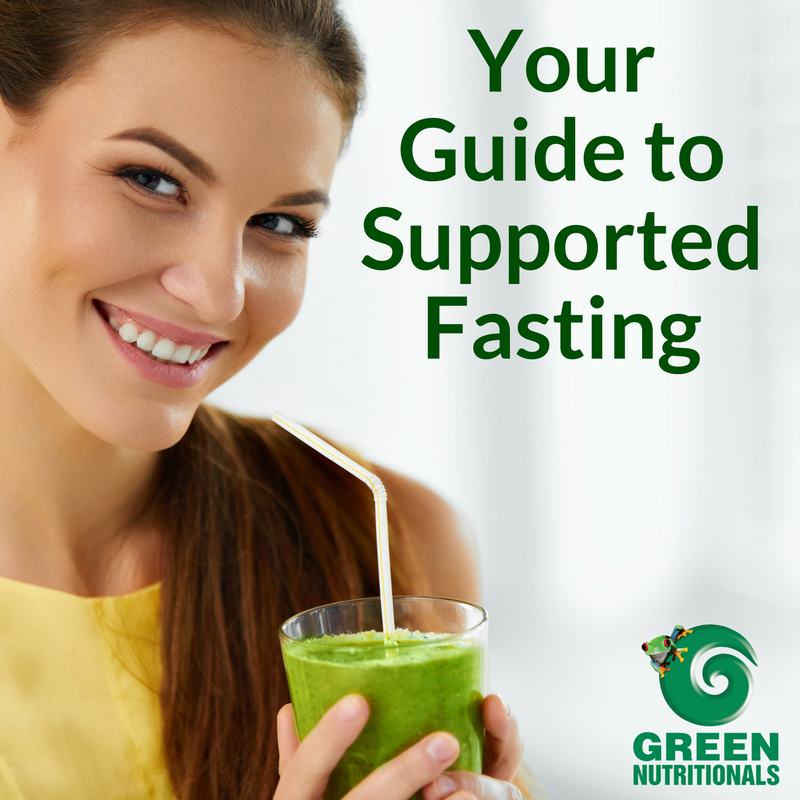 Supporting your body with beneficial nutrients while fasting. Believe it or not, there is more to partaking in a fast than simply not eating! Intermittent fasting can take a toll on your body so you must be ready to offer it support. We suggest doing some research prior to find a fasting plan that is right for you. Many of these plans will encourage you to stay hydrated while supporting your body with nutritional supplements. To support your body while fasting, try including GREEN NUTRITIONALS Hawaiian Pacifica Spirulina and GreenSuperfoods with Marine Plant Minerals for additional nutrients. 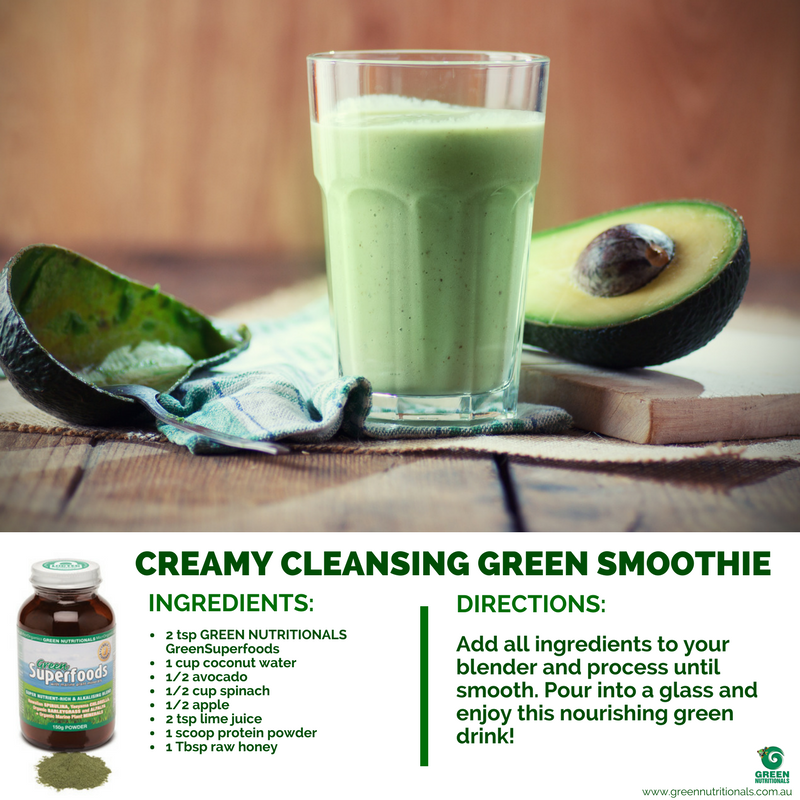 GREEN NUTRITIONALS Hawaiian Pacifica Spirulina and GreenSuperfoods Blend contains nutrients that can help keep your energy levels high and your blood sugar levels stable (something that is especially important when fasting). For example, these superfoods will give your body a boost of vitamins, minerals, antioxidants, essential fats, and enzymes. The high potency nutrients will help you avoid the potential pitfalls that can come when going through an intermittent fast. Amidst all of the perceived benefits of intermittent fasting are a few important risks (Whiteman, 2015) that you should know about. For example, dehydration is a common symptom that people experience mainly because their body is not getting any fluid from food. Heartburn is another common symptom that can make for an uncomfortable fasting experience. Doctors advise people who are under the age of 18, pregnant, have eating disorders, type 1 diabetes and recovering from surgery to avoid intermittent fasting. It is always best to speak with a medical professional prior to beginning a fasting program. Thanks to the internet and the boom in social media groups, it has never been easier to find emotional support while you go through your fasting program! Many health experts and authors have set up online communities for people involved with intermittent fasting. These types of groups and forums can offer you emotional support as well as advice as you go through your program. A simple web search will bring up a variety of fasting support groups for you to choose from. Spend some time doing this research, select a group that is right for you, and benefit from having a community to help you along your way! Margaux J. Rathbun, B.S., N.T.P. Disclaimer: This article does not make any medical claims and is not intended to treat, diagnose, or cure any disease. It is intended to be used for educational purposes only. If you are thinking of partaking in a dietary fast, please consult with your health care professional. Am J Physiol. 1990 Jan;258(1 Pt 2):R87-93. Autophagy. 2010 Aug 16; 6(6): 702–710.